Mix all ingredients except chicken until blended. Grill chicken 15 min. or until done, turning and brushing occasionally with barbecue sauce mixture. 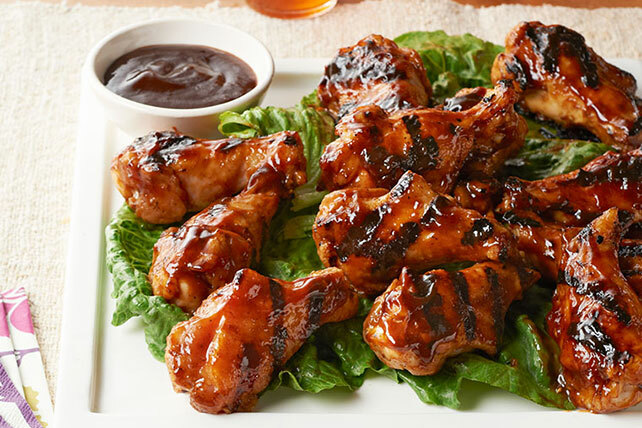 When brushing poultry with a sauce during grilling, discard any remaining sauce. Serve grilled foods with fresh sauce to ensure no bacteria from the raw meat contaminates the cooked meat.